The review is devoted to a problem of the intrauterine growth restriction (IUGR). The possible role in a pathogenesis of IUGR of genetic forms of a thrombophilia and circulation of the anti-phospholipid antibodies causing a preeclampsia and placental failure to 30-50% of cases according to different authors is discussed. The approaches to diagnostics, treatment and forecasting of IUGR including use of a fetometry, cardiotocography, dopplerometry, a research of an immunoreactivity, parameters of a hemostasis and vascular growth factors are presented. Kuneshko Nart Faruk – PhD, head of surgery block. Address: ul. Nezhinskaya, 3, Moscow, Russia, 119501. 1. 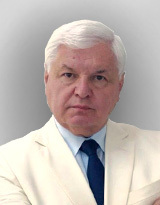 Aksenov A.N. The physiological and pathological pregnancy, fetoplacental system. Handbook of Obstetrics and Gynecology, edited by GM Savelevoj. 2nd ed., Rev. and ext. [Fiziologicheskaya i patologicheskaya beremennost', fetoplatsentarnaya sistema. Spravochnik po akusherstvu i ginekologii pod redaktsiei G.M. Savel'evoi. 2-e izd., pererab. i dop (in Russian)]. Moscow. 1996; 5-116. 2. Arzhanova O.N., Tyshkevich O.V., Zubzhitskaya L.B. Vestnik SanktPeterburgskogo universiteta. 2006; 11 (2): 111-114. 3. Bliznetskaya S.L. Main hereditary thrombophilia and their role in habitual miscarriage: Abstract of the candidate of medical sciences [Osnovnye nasledstvennye trombofilii i ikh rol' pri privychnom nevynashivanii beremennosti: avtoref. dis. … kand. med. nauk (in Russian)]. Moscow. 2009. 4. Borzova N.Yu., Sotnikova N.Yu., Gagaeva Yu.V., Kudryashova A.V. Patent № 2265224. A method of predicting fetal growth retardation [Patent № 2265224. Sposob prognozirovaniya sindroma zaderzhki razvitiya ploda (in Russian)]. 2005. 5. Vasil'eva T.P., Posiseeva L.V., Vasin V.A. Vestnik Ivanovskoi meditsinskoi akademii. 1998; (2): 15-22. 6. Ignatko I.V., Davydov L.I., Rybin M.V. Voprosy ginekologii, akusherstva i perinatologii. 2006; 5: 68-74. 7. Makarov O.V., Volkova E.V., Kopylova Yu.V., Lysyuk E.Yu., Kibardin A.V. Patent № 2517374. Method of choice of tactics for pregnant women with placental insufficiency and fetal growth retardation [Patent № 2517374. Sposob vybora taktiki vedeniya beremennykh s platsentarnoi nedostatochnost'yu i sindromom zaderzhki razvitiya ploda (in Russian)]. 2014. 8. Makarov O.V., Volkova E.V., Lysyuk E.Yu, Kopylova Yu.V. Fetoplatsentarnyi angiogenez u beremennykh s platsentarnoi nedostatochnost'yu. Akusherstvo, ginekologiya i reproduktsiya. 2013; 7 (3): 22-29. 9. Makarov O.V., Nasyrova D.V, Kozlov P.V. Problemy zhenskogo zdorov'ya. 2007; 2 (4): 30-33. 10. Makatsariya A.D., Bitsadze V.O. Thrombophilia and antithrombotic therapy in obstetric practice [Trombofilii i protivotromboticheskaya terapiya v akusherskoi praktike (in Russian)]. Moscow. 2003; 904 s.
11. Makatsariya A.D., Bitsadze V.O. Thrombophilic states in obstetric practice [Trombofilicheskie sostoyaniya v akusherskoi praktike (in Russian)]. Moscow. 2001; 704 s.
12. Medvedev M.V., Yudina E.V. Intrauterine growth. 2nd ed [Zaderzhka vnutriutrobnogo razvitiya ploda. 2-e izd (in Russian)]. Moscow. 1998; 208 s.
13. Polyanchikova O.L. Dal'nevostochnyi meditsinskii zhurnal. 2009; (2): 54-57. 14. Tikhonenko I.V. Features prediction of placental insufficiency in the early stages of pregnancy. Proceedings of the V Regional Scientific Forum "Mother and Child" [Vozmozhnosti prognozirovaniya platsentarnoi nedostatochnosti v rannie sro-ki beremennosti. Materialy V Regional'nogo nauchnogo foruma «Mat' i ditya» (in Russian)]. Gelendzhik. 2011; 138-139. 15. Tikhonenko I.V., Mozheiko L.F., Khodosovskaya E.V., Polevechko T.N. Early diagnosis of threatened abortion and development of placental insufficiency. Proceedings of the IV Congress of Obstetricians and Gynecologists Russia [Rannyaya diagnostika ugrozy preryvaniya beremennosti i razvitiya platsentarnoi nedostatochnosti. Materialy IV s"ezda akusherov-ginekologov Rossii (in Russian)]. Moscow. 2008; 254-255. 16. Chirkova I.V., Sevost'yanova O.Yu., Yakubovich O.I., Mazurov A.D. Patent № 2221253. A method of predicting fetal growth retardation syndrome in women in the second trimester of pregnancy complicated by preeclampsia [Patent № 2221253. Sposob prognozirovaniya sindroma zaderzhki razvitiya ploda u zhenshchin vo vtorom trimestre beremennosti, oslozhnennoi gestozom (in Russian)]. 2004. 17. Brenner B. Thorombophilia and Adverse Pregnancy Outcome. Obstet. Gynecol. Clin. North. Am. 2006; 33: 443-456. 18. Chow S.S., Craig M.E., Jones C.A., Hall B., Catteau J., Lloyd A.R., Rawlinson W.D. Differences in amniotic fluid and maternal serum cytokine levels in early midtrimester women without evidence of infection. Cytokine. 2008; 44 (1): 78-84. 19. Clark A.L., Branch D.W., Silver R.M., Harris E.M., Pierangeli S., Spinnato J.A. Pregnancy compli-cated by the antiphospholipid syndrome: outcomes with intravenous immunoglobulin therapy. Obstet. Gynecol. 1999; 93: 437-441. 20. Dashe J.S., McIntre D.D., Lucas M.J., Leveno K.J. Effects of symmetric and asymmetric fetal growth on pregnanchy outcomes. Obstet. Gynecol. 2000; 96: 321-327. 21. Demir R., Seval Y., Huppertz B. Vasculogenesis and angiogenesis in the early human placenta. ActaHistochem. 2007; 109: 257-265. 22. Esmon N.L., Safa O., Smirnov M.D., Esmon C.T. Antiphospholipid antibodies and the protein C pathway. J. Autoimmun. 2000; 15: 221-225. 23. Fredell L., Kockum I., Hansson E., Holmner S., Pedersen J. Heredity of hypospadias and the signifi-cance of low birth weight. J. Urol. 2002; 167: 1423-1427. 24. Galli M., Luciani D., Bertolini G., Barbui T. Lupus anticoagulants are stronger risk factors for thrombosis than anticardiolipin antibodies in the antiphospholipid syndrome: a systematic review of the literature. Blood. 2003; 101: 1827-1832. 25. Girardi G., Redecha P., Salmon J.E. Heparin prevents antiphospholipid antibody-induced fetal loss by inhibiting complement activation. Nat. Med. 2004; 10: 1222-1226. 26. Gluckman P.D, Hanson M.A. Maternal constraint of fetal growth and its consequences. Semin Fetal Neonatal Med. 2004; 5: 419-425. 27. Goldenberg R. L., Culhane G.F., Lams J.D., Romero R. Epidemiology and causes of preterm birth. The Lancet. 2008; 371: 75-84. 28. Holt R.I, Byrne C.D. Intrauterine growth, the vascular system, and the metabolic syndrome. Semin Vasc. Med. 2002; 1: 33-43. 29. Jamal A., Hantoshzadeh S., Hekmat H., Abbasi S. The association of thrombophilia with fetal growth restriction. Arch. Iran. Med. 2010; 13: 482-485. 30. Kupferminc M.J. Thrombophilia and pregnancy. Reproductive Biology and Endocrinology. 2003; 1: 111. 31. Kupferminc M.J., Many A., Bar-Am A., Lessing J.B., Asher-Lensberg J. Mid-trimester severe intrau-terine growth restriction is associated with a high prevalence of thrombophilia. BJOG. 2002; 109: 1373-1376. 32. Liestol S., Sandset P.M., Jacobsen E.M., Mowinckel M.C. Decreased anticoagulant response to tissue factor pathway inhibitor type 1 in plasmas from patients with lupus anticoagulants. Br J Haematol. 2007; 136: 131-137. 33. Malinowski A., Szpakowski M., Wilczynski J., Wozniak P. Efficiency of paternal lymphocyte im-munization in prevention of unexplained recurrent spontaneous abortion. I. Clinical prognostic factors. Ginekol. Pol. 1997; 68 (4): 165-172. 34. Militello M., Pappalardo E.M., Carrara S. Obstetric management of IUGR. J. Prenat. Med. 2009; 3 (1): 6-9. 35. Mirzaei F., Farzad-Mahajeri Z. Association of hereditary thrombophilia with intrauterine growth re-striction. Iran. J. Reprod. Med. 2013; 11 (4): 275-278. 36. Polanczyk M.J., Carson B.D, Subramanian S., Afentoulis M., Vanderbark A.A., Ziegler S.F., Offner H. Cutting edge: estrogen drives expansion of the CD4+CD25+ regulatory T cell compartment. J. Immunol. 2004; 173: 2227-2230. 37. Rand J.H., Xiao-Xuan Wu, Quinn A.S., Chen P.P., VcCrat K.R., Bovill E.G., Taatjes D.J. Human monoclonal antiphospholipid antibodies disrupt the annexin A5 anticoagulant crystal shield on phos-pholipid bilayers: evidence from atomic force microscopy and functional assay. Am. J. Pathol. 2003; 163: 1193-1200. 38. Reynolds L.P., Borowicz P.P., Vonnahme K.A., Johnson M.L., Grazul-Bilska A.T., Wallace J.M., Caton J.S., Redmer D.A. Animal models of placental angiogenesis. Placenta. 2005; 26: 689-708. 39. Said J.M. Inherited thrombophilas and adverse pregnancy outcomes: a case-control study in an Aus-tralian population. Acta. Obstet. Gynecol. 2012; 91: 250-255. 40. Sasaki Y., Sakai M., Miyazaki S., Higuma S. Decidual and peripheral blood CD4+CD25+ regulatory T cells in early pregnancy subjects and spontaneous abortion cases. Mol. Hum. Reprod. 2004; 10: 347- 353. 41. Shamonki J.M., Salmon J.E., Hyjek E., Baergen R.N. Excessive complement activation is associated with placental injury in patients with antiphospholipid antibodies. Am. J. Obstet. Gynecol. 2007; 196: 167. 42. Stone S., Khamashta M.A., Poston L. Placentation, antiphospholipid syndrome and pregnancy out-come. Lupus. 2001; 10: 67-74. 43. Wegmann T. G., Hui Lin, Guilbert L., Mosmann T.R. Bidirectional cytokine interactions in the ma-ternal-fetal relationship is successful pregnancy a Th2 phenomenon? Immunol. Today. 1993; 14: 353-356.